A little over a year ago a relationship ended that I really thought was supposed to be “the one.” He abruptly ended things, and a few months ago, I sent him an email to tell him all the things he never gave me the opportunity to. I guess I needed the closure. We emailed back and forth a few times, and then he vanished from my life again. I’ve recently started dating again, but I still feel my heart is not ready to belong to anyone else yet. Why can’t I move on? Were we meant to be together? Sometimes things aren’t what we think, or exactly as they appear. Unfortunately, you’re experiencing the backlash of a karmetic relationship. This can be a profoundly painful and confusing experience. Sometimes, the more you try to figure things out, the more confusing things become. I see that you’re a spiritual and have philosophical energy, so I’m hopeful that you will be able to make sense of everything I’m about to tell you, and use it to your benefit. While knowledge doesn’t immediately usurp emotion, very often it does help a person navigate through the residuals to release the baggage more quickly. This is what I hope will happen with you. 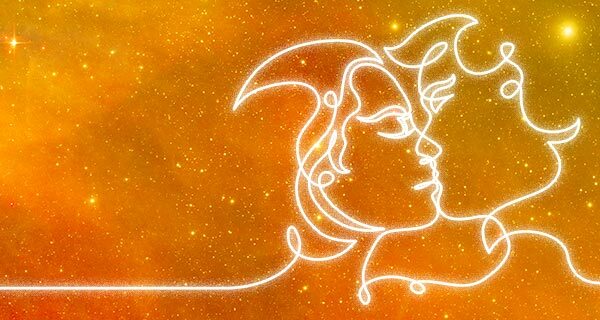 You have a very strong connection with your ex—much of which was created in your past lives. Because of the numerous shared lifetimes, a very strong karmic bond has been created. Sometimes karma can be… less than pleasant. Even though you strive to be a good, honest, and noble person in this life, some of your past lives weren’t as admirable. Please don’t think that I’m judging you or criticizing you. I’m really not. I’ve yet to meet a person, myself included, who has been the beacon of goodness in every lifetime experienced. Back to the topic at hand, in more than one life, you and your ex have accrued karmic debt, an imbalance that follows a being from incarnation to incarnation. In order to spare you, and other readers, the gory details, I’m just going to summarize and say that you hurt and screwed over this man in several of your past lives. Please understand that karma is impartial; it does not serve vengeance. Rather, it serves balance. Sometimes the restoration of balance can be a painful process and experience. 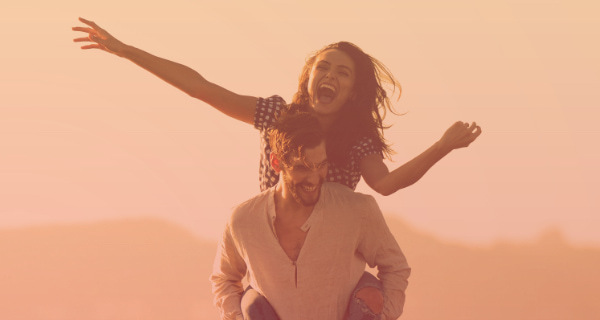 You believed that your ex was “the one,” and may have had predictions in readings that defined him as “the one,” because the two of you were meant to come together in this life. Unfortunately, coming together doesn’t always mean staying together. Sometimes, as in your case, it means the fulfillment of a karmic contract for one person, which usually leaves the other person struggling with pain and confusion, as you are now. As much as I hate to be the bearer of bad news, I often have to be. Because this is your life, and your future is at stake, I would be remiss in my duties if I did not tell you that it’s over. Your ex is not coming back to you. I know that is cold and harsh, but it is much better that you know than to encourage you to hold onto false hope. Even though you did receive a measure of closure with your conversation, something in you is still hopeful that things will change, and the opportunity for a true reunion will present itself. Unfortunately, this isn’t going to come to pass. Your ex is already moving forward in his life, and you need to do the same. Even though he may be the one that got away, that does not mean you won’t find true love and happiness—because you will. Letting go is never easy, but often necessary. Tomorrow is a new day. Face it with a brave face, an open heart, and the understanding that you’ve paid your karmic debt in love, so the future can shine brightly for you once again. My husband left me for another woman in June 2011! I was devistated! After 41 years off marriage and 4 Adult children ranging in age from 40-30 years of age! It was the worst thing that ever happened to me! I am moving on but it is not easy! Am I ever going to find love again? Jean MacDonald. I met a man two and a half years ago now, with whom I had a wonderful three month fling that came absolutely out of the blue. Something was missing tho, something just did not feel right, on both our parts. At that stage of my life I was confident in my relationships and all though I felt strongly for this man, I had the will power to leave. It ended well, with him bennifiting more, emotionally. This did not bother me tho, i knew this was not about me needing to be reassured. I was happy with what I experienced and my feelings, the good and the bad. Ive always felt however that he never really wanted to give me closure and i couldnt figure it out, it wouldn’t have cost him anything, as I was the one that had been putting my feelings out there and not him. I’ve tried to get closure on my own, by letting go, in a variety of ways and I’m still working on it. Karma? Perhaps….what a silly man tho, all those games he played tarnished the wonderful memories that we created. To Aimee: I feel sad and glad for you. Sad that you are hurting and glad that you may have reached closure. I will send prayers for you to heal; I too, feel that I cannot love another due to promises given in the past. I wish the best to you in life and love. To Red: A great response; your teachings are appreciated by me. I wish you the best in life and love. Ive been very interested in a man for a little over a year now, and the only time I would see him is when we are around mutual friends. But it has been close to 3 months since Ive actually seen him. I know he has a way to contact me but he just doesnt. And its just really bothering as to why Im so attracted to this man when hes doing nothing abut pursuing anything. When we are around eachother I can feel the attraction even on his part. But then when were not around eachoher it fades and theres never any contact. I recently wished him a happy birthday through a text on Nov 2. and his only reply was ” thanks” sometimes I feel awkward as to why did I even bother reaching out if he cant engage in a conversation. I wish I wasnt so frustrated about this and I can just let it all go and move forward with m life. But I think of him all the time.How is it possible to have someone your mind so much without barely knowing anything about them? I just wish I had a better understanding to all of this and knew what to do. maybe he isnt as interested as I am, and Im just wasting my time even hoding my breath with this? we split amost a yr and half ago, still saw eacother of and on however never got back togethr, he tells me im the one owever has no follow thru. i just recently found out he is best friends with my brother whre they kept it a secret. im ladthey are friends however why does he keep coming back ad then distanceing himself? if i a the one why does he see other women. ive come to realizethe same thing i just read, its a karmetic debt….however will he stop gong back and forth or will he really move on as i am trying to do.?? Thank you Aimee for sharing your heart and thank you Red for freely giving of your time and wisdom. Your response to Aimee helped me come to some terms in my own life for which I am grateful. I always knew there was something negative in a past life that carried to this life. I assumed it was just meant to be. I am going to a past life regression class tomorrow because I so desperately wanted to fix what was following me. Karmic debt resonated with me. I wasn’t the one being abused in a past life I was the abuser. This really excites me because now I can make peace with my past life and move forward in this one. Thank you both once again.